Hola — I’m Camilla! 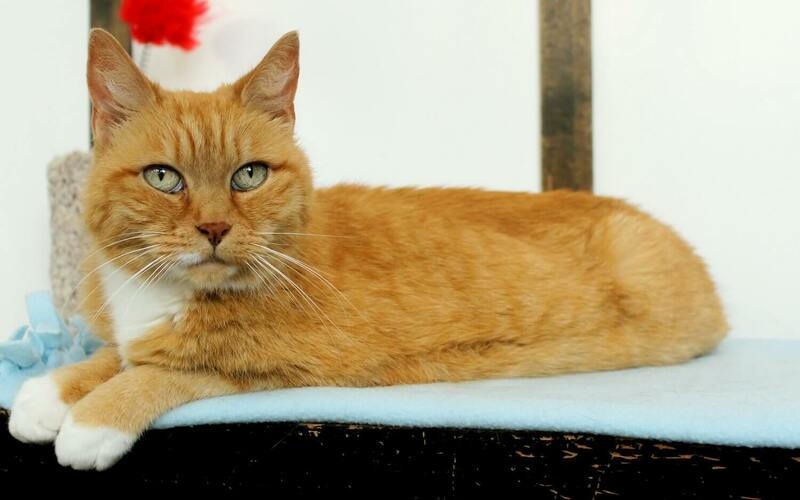 I’m a beautiful and exotic-looking orange lady kitty that is as sweet as I am striking. I am about 9 years old and I absolutely adore attention from people. I am a very special lady, you know, since orange girl kitties are pretty rare. Especially ones as sweet as me! I’m currently living peacefully in the Pixie cattery around other cats, and am usually the first one to come up and say hello to anyone who stops in to visit. After giving you lots of head bumps, I’ll either climb up into your lap or flop down beside you and purr, purr, purr the day away! I don’t mind being picked up and snuggled — in fact, I may start drooling on you if I get enough chin scratches. I don’t seem to mind having other cats around, and I could probably do just fine around respectful dogs and children. I’m just a darling lady kitty with little white paws and a big, big heart. I am ready to go home! Won’t you come meet me? I come to you fixed, vaccinated, and micro-chipped for an adoption fee of $100.